Java moss is a favorite amongst aquarium hobbyists. It has roots in the country of Java, as well as neighboring Southeast Asian countries. As its popularity rose, the plant began to be farmed like any other aquatic plants. This popularity is primarily due to its relative ease of installation, care, and growth. Java moss makes a nice addition to any tank yet it requires no special gravel or base layer to thrive. It has been known to attach to gravel or substrates, which does have the added benefit of keeping it from circulating with the water currents in your tank. Java moss will attach itself to almost anything in your tank that sits still for long enough, including commercial decorations, rocks, and even driftwood. A little will go a long way! If you are an impatient type (and really who isn’t a little impatient at heart?) you will want to saturate your java moss with light. Aquarium lighting solutions, important for a variety of reasons, can be used to assist java moss to grow at a faster rate. When you are first starting out with java moss, consider adding some additional lighting sources (even outside of your tank) to speed up the process. Java moss can be placed into the tank’s base layer and given free reign or you can attach the plant to (or around) decorations in your aquarium, such as rocks or driftwood. Another way to make for speedy growth is to add fertilizer (Check out my post on fertilizing method). There are a variety of fertilizers available so pick out a type that will work for your particular setup. One such fertilizer is Seachem Flourish Tablets. All plants require water to grow and java moss is no exception. Well-circulated and clean water in an aquarium is extremely beneficial. What’s more, java moss is known to thrive in circulating water currents. 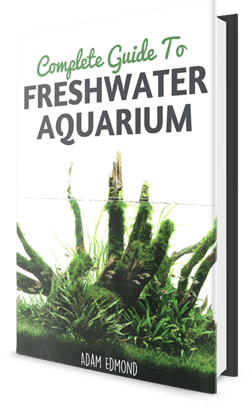 It is so well suited for moving water that some aquarium owners have been known to grow their java moss outside the tank, in small, fast moving creeks or waterways in order to get the plant in good working order and only then transplanting it into the tank. One word of warning when it comes to moving water and java moss though—the mixture of moving water and small java moss elements have been known to clog up an aquarium’s filter. Strands of the plant can become loose and plug up a power filter, slowing the filtration process and, in the worst of cases, damaging your equipment. Remember to keep a very regimented cleaning schedule that includes weekly vacuuming in order to move out uneaten food, plant particles, and fish waste, all of which can clog your filter and inhibit growth. Java moss is also well known as a good source of carpet coverage. Some aquarium owners like to grow a short, grassy covering on the bottom of their tanks, known as carpets, in order to fill out the aquascape. Lights, Camera, Action!…But especially Lights! Water circulation, proper base layers, and adequate plant life are all important aspects to setting up an aquarium. One thing that might get overlooked is the lighting solution. There are several different lighting solutions on the market today, all of which could be used to assist in growing java moss. Research the lights needed according to your tank’s size and shape, as well as the type of lighting solutions your plant life requires. But be forewarned; much like a small amount of java moss can turn into a large covering of the plant, a little bit of light goes a long way as well. Any medium level lighting solution will encourage growth in short order just as too much light will encourage too much growth, so keep an eye on your java moss installation. As we have discussed, java moss is a great solution for a carpeting plant solution for any aquarium. Make sure to have a well-circulated water system and plenty of light before you begin. Once you get the java moss itch, it might be hard to shake! PS: Please share your experience by commenting below. What makes Java Moss turn a bit brown? Just got a piece of one from store and in a couple days, it has some brown mixed in. Aquarium is 2.5 gallons with Betta. Have Java Moss on bottom sticking a bit into gravel. Have a small LED light that stays on about 5 or 6 hours. I do not have a filter and don’t wish to get one for an aquarium that size with one Betta. Please help me figure out what is best to do in my case. Hi Charlene, there could be a number of reasons for your java moss to turn brown. One could be it is acclimatizing to the new tank. Or perhaps your lighting is not adequate. Adam, thank you for some feedback. I don’t wish to leave light on too long for my Betta, therefore, 6 hours. Also, someone told me if light is on too long, Java Moss can get algae along with the aquarium glass. Do you think it is better off floating on top so nearer to little light or grounded in the bottom in gravel? Also, if the Moss adheres to everything, how does one clean the aquarium such as what it has adhered itself too? I only replace 40% of the water once a week. 6 hours is perfectly fine with the right kind of lighting. And it’s true about algae forming with too much light. Personally, i would prefer my java moss to be at the bottom as it does not look as good as a floating plant. As for cleaning, 20% weekly water change is good enough so as not to disrupt the water condition. Adam, I do clean once a week or 10 days. My question was, “If Java Moss is attached to a rock or whatever, do you take the Java and the rock out to clean it, or how does that work? What happens down the road when the Java has grown large and is attached to more than one item? Seems like a big job, hopefully I am wrong. You are kind to respond to help me and I do appreciate it. So far Java is staying the very dark green and I guess this is normal. Taking the java moss out to clean is a no no. You do not want to disrupt the settled moss. I don’t normally clean java moss manually. I ’employed’ workers to do it such as Amano shrimp, Otocinclus and Siamese algae eaters to clean the moss. If the moss grows wild, you have to trim it regularly. Hi, Are any of your algae workers able to go into my little 2.5 gallon aquarium with one Betta able to survive being eaten by the aggressive Betta? Glad I asked about taking the Java moss out to clean whatever it is attached to or I would have done so. You are very knowledgeable I can see. Hi Adam, I can get my son to put a couple pics of my little aquarium onto my computer. Where do I email the pics to?? Actually betta fish are most healthy with a filter. They can get very sick if their tank is not cleaned regularly. Also yes, Java Moss does sometimes have a brown hint to it. That is enough lighting but make sure to turn it off at night for your plant and fishes best interest. The Java Moss you bought was most likely grown out of water. So it will melt back then grow back as it becomes fully accustomed to being fully submerged. Coming from a fish keeper with 30+ years of experience…. Have patience. Give it time, lots of time. A lot of people claim that their Java Moss grows like a weed, inches weekly, and it probably does. Hearing that pisses me off. Their water parameters, lighting and fertilization must be PERFECT, as I have tried moss many, many times only to watch it melt away and die. Until, the very last time I tried I noticed a piece settle on my substrate in the front right corner of my 75 gallon HEAVILY planted tank. I just let it be. 2 years have past. Yeah, 2 freaking years. It SLOWLY grew into an awesome carpet about 2-3″ thick, creeping across my subatrate, swallowing a patch of Dwarf Sag along it’s way to covering half my tank floor. I let it go as long as I could until it ruined my layout and my aquascape. It pulled up in a thick mat. I moved it into a 10 gallon and it basically filled it up. I have a colony of Endler Livebearers going in that tank with Red Cherry shrimp. The moss is so thick that I hardly ever see the shrimp! I will note, in my 75 I ran DYI CO2 (yeast, sugar, water) and LED lighting from Finnex. I run my lights on a timer 8 hrs a day. I also dosed Seachem Excel when I had cash to buy it. I dosed Seachem iron and flourish very hap haphazardly as well. Long story short…. Keep trying and have patients. Hope this helped anyone looking for Java Moss info. PS, this works for Java Fern as well. Just let it go. 2.I am seeing these bright green dots at the end of some of the moss. Is that new growth? Something else? Cut a pice of Lufa..(scrub thing for in the shower) buy some small pvc tubing attach your moss cover with the lufa ,,,it will hold it in place ..I put my java everywhere in my 100 gallon iPad it’s grown into a nice thick bed for hiding babies of all my tank creatures ..
Im after the best methods to fix moss to a) wood in the form of a tree b) a custom hard feature. Im in the process of carrying out a dry start (7 days in) everything is doing fine bar the moss attached to the wood (java) does java survive dry start? Hi Ben, I usually use a glue to fix moss to my hardscape. With regards to java moss, I’ve never tried dry start but java moss might not be suitable as they tend to dry out quicker and requires constant water. What glue would you recommend, i assume that aquarium silicone will be no good. Will moss eventually attach itself to hard surfaces during a dry start? Yes i have to agree, java seems to have been a poor choice for meqfor a dry start,i will try covering the with a bag to increase humidity. Can Java moss survive in a tank with Hydrilla? Hi Karl, yes they can but do not put them to close to each other as the Hydrilla might block the light to java moss. I got a floating java moss ball from petco a few months ago and it has grown like crazy. How can I contain it again as a big ball of moss instead of it almost taking over my tank. I like having it in my tank but it’s beginning to croud out my fish that swim near the surface. I just want to get it under control but don’t know how. Any suggestions welcome. Seen this forum and mine as well ask. I have a question, I had beautiful moss covering a driftwood branch but as it grew the underneath turned brown, and as it broke down, ph was at 6. Process of elimination makes the brown decaying moss the culprit of the acidic water (even with many water changes) After a time something happened and all the moss just died. I scrubbed it all off and ph is fine now. I just want to avoid this from happening again. I lost all my shrimp 🙁 My reef tank was easier than freshwater pants! SO how do you keep the moss maintained so the bottom parts dont die, what’s the technique to prune it? THanks for any advice! very interested in Java moss am about to start a new aquarium, have a plastic (proper aquarium ornament) bonsai tree and wish to fix Java moss to give it a more realistic look – would this work will the moss float away – also will have other real plants that just grow in gravel and have used the bases from plastic plants / and ceramic rings used with in the aquarium I have stuck my gravel around the edge to hold them down -as I don’t want to have deep gravel so have used special aquarium silicone to stick the gravel on with is this ok ? And how long does it takes for java moss to grow? I’ve had huge success with Java Moss. I have it generally just as a floating compacted bunch tucked behind some ornaments. Also some attached to some driftwood. It has just kept growing where it would easily take up 1/4 of my 5ft tank. Would it be worth while removing half of it? Does having this quantity possibly lead to poor water quality? I have heaps of the stuff! I have a question. I have a lot of java moss and last month I gathered it all up to one side of my tank. It’s a thick jungle on one side. Since i did that i haven’t seen any of my shrimp I’ve even dug around in the tank and nothing. Can java cause a harmful zone in the tank that would kill the shrimp? I have also had a couple fish and snails die after i did this but they were very old. All my water tests are normal.